For over 100 years Meikles has been acclaimed as Zimbabwe’s premier luxury five-star hotel, its gracious charm and silver-service style reflected in our membership of Leading Hotels of the World. Following the major renovation of the North Wing, the hotel is now a superlative blend of tradition and innovation, offering luxury and comfort along with the most modern facilities and amenities expected by today’s international business and leisure guests. Situated in the heart of the capital city Harare, Meikles overlooks the historic, colourful Africa Unity Square and it offers easy access to everything the city has to offer. 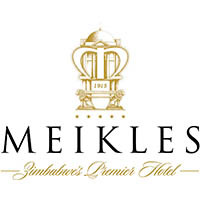 Meikles Hotel also offers variety and quality, with award-winning restaurants, friendly bars, a spa, gymnasium, rooftop swimming pool, banqueting and conference rooms, satellite television as well as Wi-fi. While banks and airlines are principally known as the only institutions offering premium service to their top brass customers, the Econet Platinum Club has developed into an association second to none in the country offering superior benefits to Econet Wireless TOP tier customers. As a member of the club, one is spoilt with a wide array of benefits that range from exclusive treatment in Econet Platinum (member only) suites to enjoying up to 20% discounts with Econet Platinum Partners such as Avis Zimbabwe. Click here to learn more about the Econet Platinum Club. Specialists in Tailor-made holidays packages for individuals and groups. 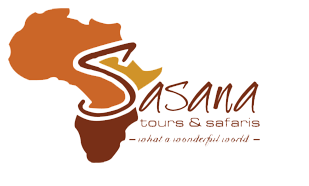 Accommodation bookings, transfers , city tours ,day trips and coach hire . Special Interest tour packages such as birding, fishing, golfing, cultural expeditions , and many more. Emergency road-side assistance. Services include: Towing, Jumpstart, Key Retrieval, Tyre Change, Flat Battery & More. Please contact us for further information +263 772 122 122. Avis Zimbabwe is a member of the TSL Group of Companies. TSL Limited was founded in 1957 and is listed on the Zimbabwe Stock Exchange. TSL Limited is a conglomerate focused on providing innovative solutions in Agriculture, Logistics, Real Estate, Commodity production and trading in Zimbabwe.